Beijing, China is getting another supertall skyscraper. 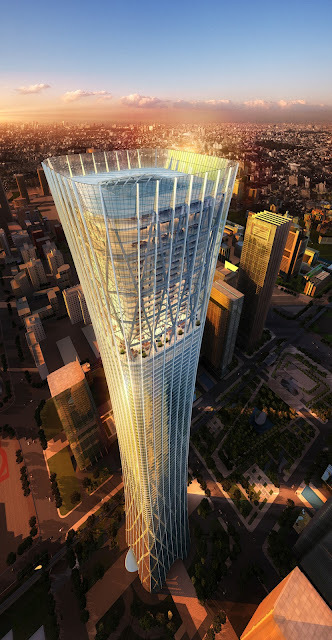 The tallest skyscraper in Beijing. 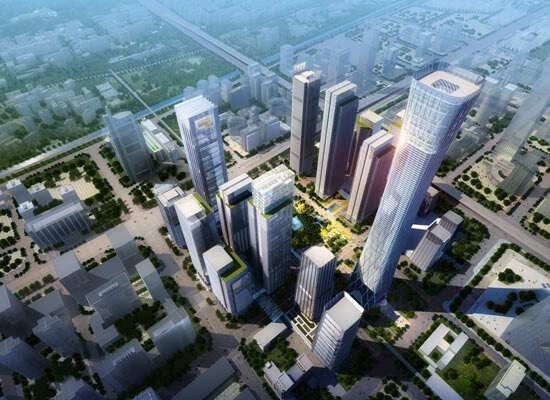 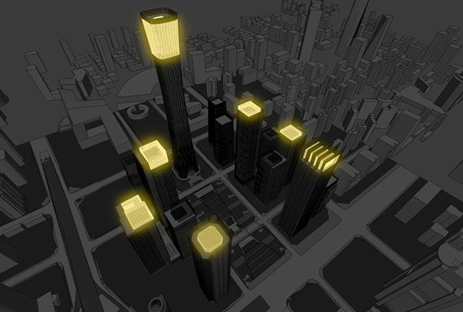 China Zun also known as CITIC Plaza or Z15 is designed by TFP Farrells. The building is currently under construction in Beijing, China. 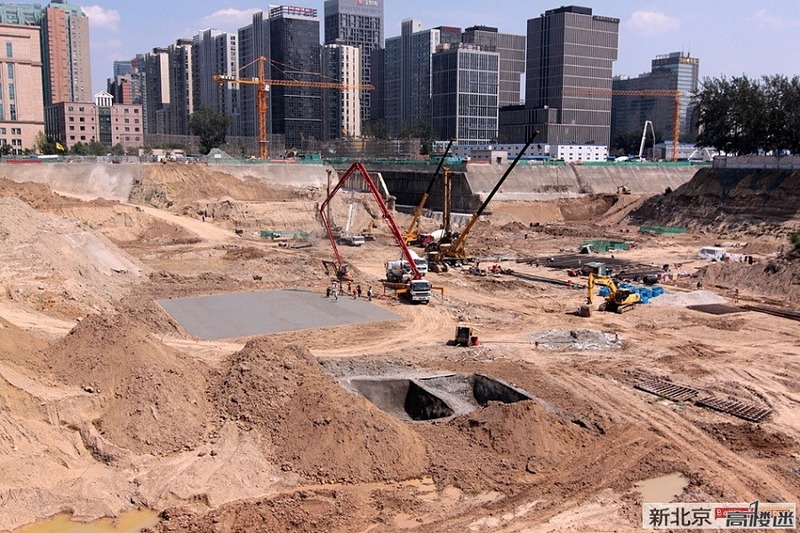 When finished it will be 520m (1706ft) tall with 118 floors. 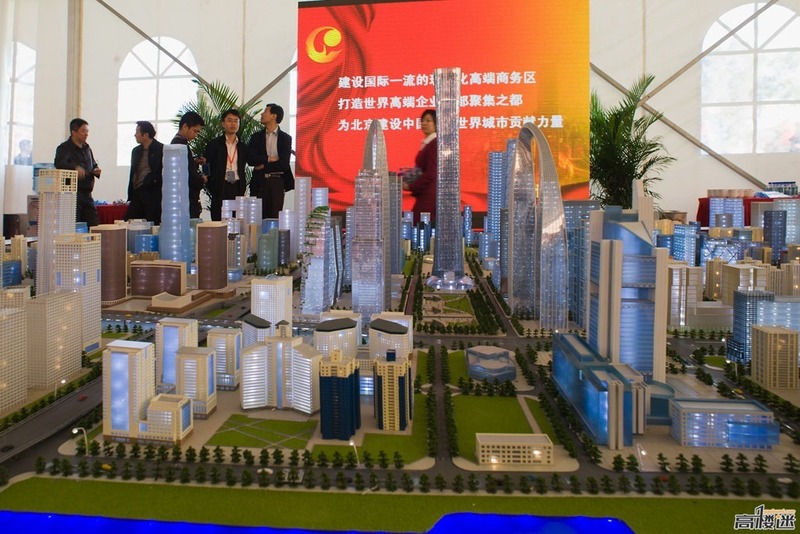 Quite impressive, but nothing surprising for China. 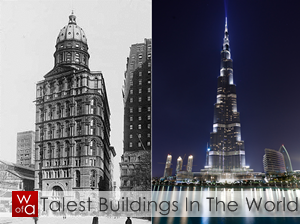 These days office skyscrapers with record breaking heights are nothing new in China. 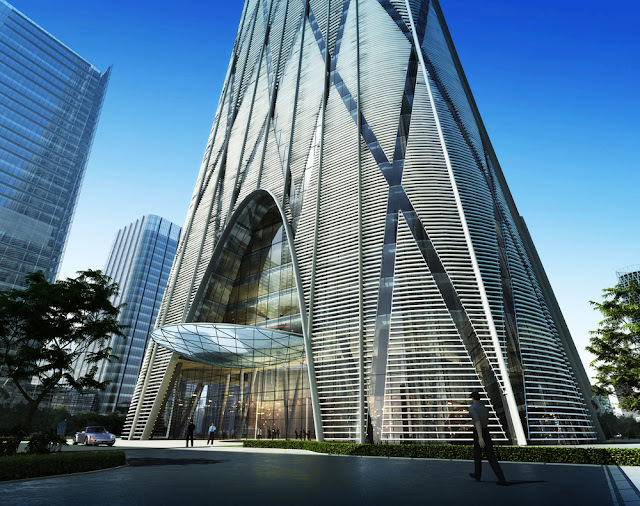 Take a look at this sleek and modern skyscraper design! 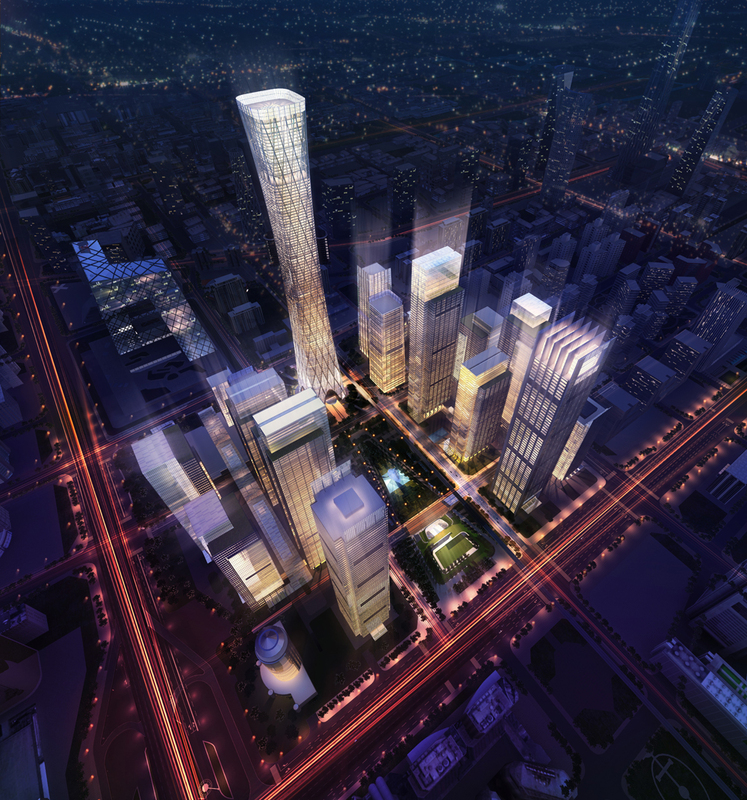 "The design by TFP Farrells, BIAD, ARUP and MVA will be the tallest building in Beijing. The new ‘Z15’ Tower, located in the east of Beijing at the heart of the new CBD extension, will be 118 storeys, and more than 500m high. 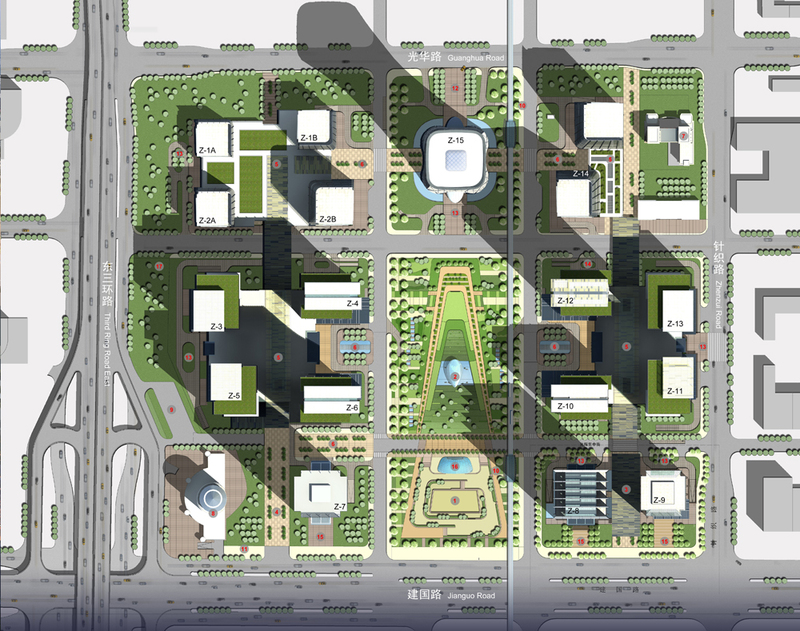 As part of this 30-hectare masterplan at the core of this district, the design incorporates 2,000,000m2 of office space, six-star hotels, luxury service apartments and high-end retail that connects to the existing metro station and adjacent shopping mall. 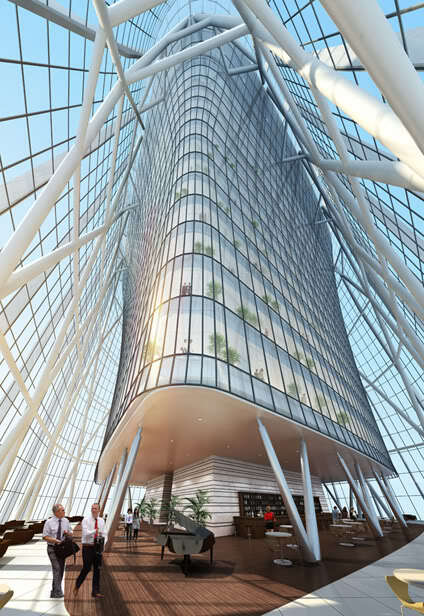 This 300,000m2 tower includes Grade-A office space over 60 floors; 20 floors of serviced apartments, and an approx. 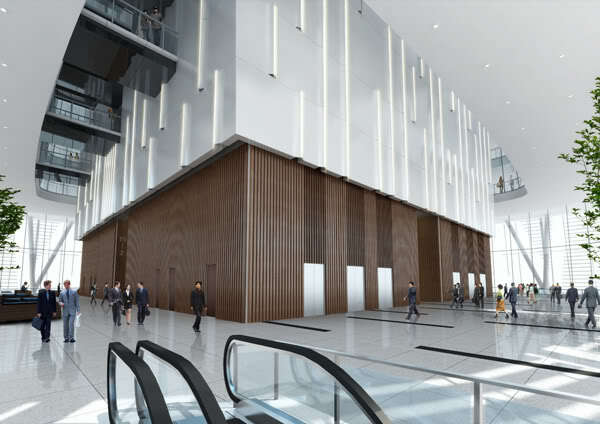 300-key/ 20-storey hotel, complete with state-of the-art facilities. 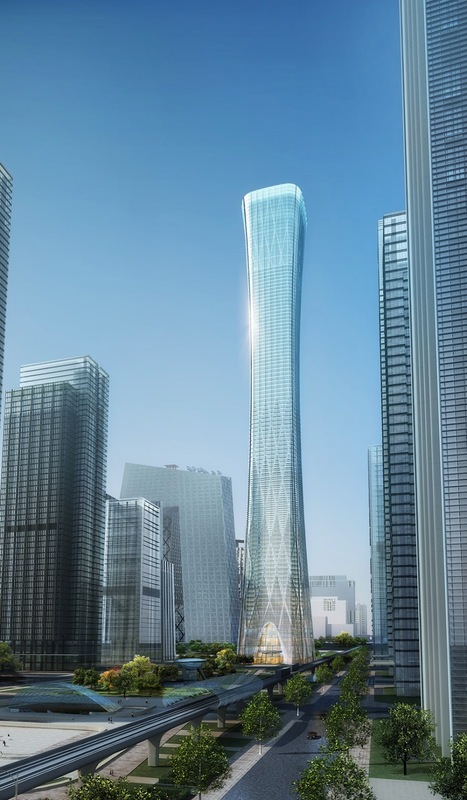 The tower’s smooth contemporary vertical curve gives the building an elegant expression that will assist in maximizing the floor area at the top and provide structural stability at the tower’s base. 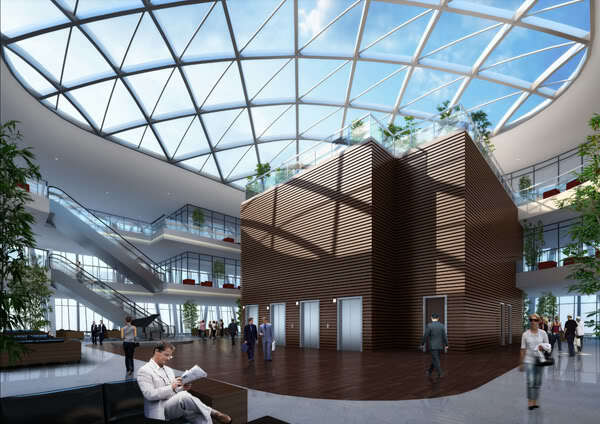 Z15 will utilize the latest sustainable technology, materials and engineering concepts. 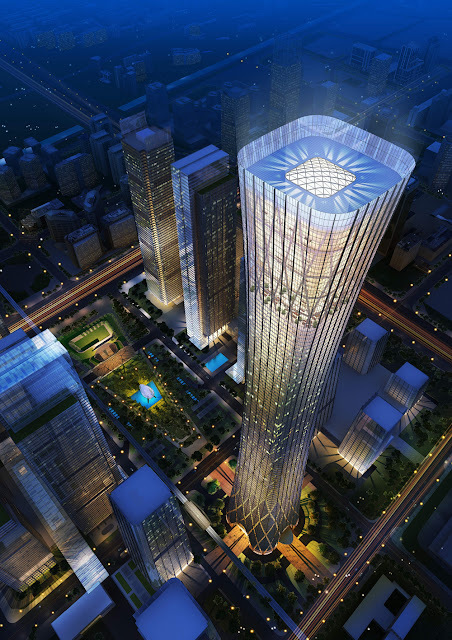 Situated close to the new CCTV Headquarters and China WTC 3, Z15 will become an international iconic landmark of China’s future.."